Jardine Cycle & Carriage (JCC) offers unique exposure to Southeast Asian economies and diversified industries. Inexpensive entry into 50.1%-owned Astra International, the largest independent automotive group in Southeast Asia. Key risks: Exposure to underlying economic and political risks; increasing competition; commodity prices fluctuation, FX risks. Initiate with BUY, Target Price of S$43.10; attractive valuations as JCC is now trading at deep discount of 25% to NAV. Investment holding company with strong automotive presence and other diversified interests in Southeast Asia. 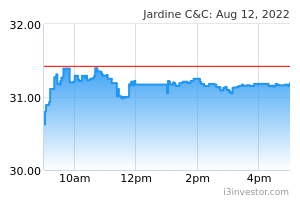 JARDINE CYCLE & CARRIAGE LTD (SGX:C07), a member of the Jardine Matheson Group (JARDINE MATHESON HLDGS LTD (SGX:J36)), is an investment holding company headquartered and listed in Singapore. Jardine Cycle & Carriage (JCC) is a long-term shareholder and through its strategic 50.1% interest in Astra International (Astra), JCC is engaged in the assembly, distribution and retailing of cars and motor cycles, with further interests in financial services, heavy equipment and mining, agribusiness, infrastructure and logistics, information technology and property. JCC’s strong automotive presence in the region is carried under the Cycle & Carriage banner, as well as through Tunas Ridean in Indonesia and Truong Hai Auto Corporation in Vietnam. JCC is further exposed to Southeast Asian economies via its interests in Vinamilk, Siam City Cement and Refrigeration Electrical Engineering Corporation. Today, JCC has operations in Singapore, Indonesia, Malaysia, Vietnam, Myanmar, with the bulk of earnings (c.80%) contributed from Indonesia. The company began as Cycle and Carriage in 1899 in Kuala Lumpur, selling bicycles, motorcycles and cars. It expanded to Singapore in 1926 and was listed on the bourses of Malaysia and Singapore in 1969. In 1992, the Jardine Group acquired an initial 16% stake in the company and subsequently renamed it Jardine Cycle & Carriage (JCC), as the company became a subsidiary when Jardine increased its stake to just over 50% in 2005. A JV with DaimlerChrysler to distribute Mercedes-Benz cars in 1999 boosted its core business in Singapore. Subsequently, JCC commenced distribution and retailing of Kia and Citroen. In the meantime, its subsidiary Astra International acquired Bank Pertama in Indonesia in 2006.
Dividend payout ratio kept largely stable through the years. Jardine Cycle & Carriage (JCC) has kept its dividend payout ratio relatively stable at 43% since 2010. Dividends are paid twice a year in USD and JCC offers a SGD currency election. See Jardine Cycle & Carriage's dividends. In FY17, JCC paid 86 UScts of dividends per share, representing 3.5% dividend yield at its current share price, which we believe is a decent yield. Refer to report Jardine Cycle & Carriage - A Southeast Asian Proxy dated 2018-05-18 for details on JCC's key business segments. Initiate coverage on JCC with BUY, Target Price of S$43.10 based on SOP methodology. JCC offers attractive valuation, trading at a deep discount of 25% to its estimated value of holdings and is an inexpensive entry into Astra International at a large 22% PE discount relative to historical average. 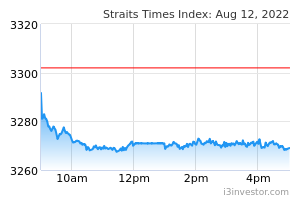 The stock also offers a decent dividend yield of 3% whose payment may be elected in SGD or USD. We believe that JCC is likely to pay down its debts (largely incurred from Vinamilk acquisition) in the longer term. Jardine Cycle & Carriage (JCC) – a member of Jardine Matheson Group (JARDINE MATHESON HLDGS LTD (SGX:J36)) – together with its subsidiaries and associates, employs over 250,000 people across Indonesia, Singapore, Malaysia, Myanmar, Thailand and Vietnam, offering unique exposure to key Southeast Asian economies. JCC has a strategic 50.1% in Astra International (Astra), the largest independent automotive group in Southeast Asia. JCC also has a strong regional automotive presence through its Direct Motor Interests operating in Singapore, Malaysia, Myanmar and Vietnam. Through Astra International, JCC is exposed to a variety of industries including financial services, heavy equipment, mining, construction and energy, agribusiness, infrastructure & logistics, information technology and property. JCC also offers exposure to Thailand and Vietnam through its Other Strategic Interests, namely Siam City Cement (SCC), Refrigeration Electrical Corporation (REE) and Vietnam Dairy Products Joint Stock Company (Vinamilk), which are market leaders in their respective industries. Inexpensive entry into Astra International through its 50.1% strategic interest. Strong management team with proven track record. Jardine Cycle & Carriage (JCC) also trades at a 25% to its estimated value of holdings which is at the far end of the range. We believe the deep discount to NAV will narrow over time with rupiah weakness continuing and find current valuations attractive. JCC may have better USD-adjusted returns in weak IDR environment. Tracking Jardine Cycle & Carriage (JCC)'s share price and Astra International’s share price returns over the last six years in a weakening IDR environment, we find that while Astra International’s share price returns has outperformed JCC in local currencies respectively (IDR and SGD). However, when based on USD terms, JCC’s returns outperform Astra International. Diversified earnings base with exposure to Vietnam; accounting for 13% of FY18 profit. Jardine Cycle & Carriage (JCC) has a diversified earnings base in terms of industries and geographical exposure including Vietnam, which is one of the fastest growing economies in Southeast Asia. Decent dividend yield of 3%. Jardine Cycle & Carriage's dividends payout ratio averaged 43% in the last three years. In FY17, JCC paid 86 UScts of dividends per share, representing a decent 3% dividend yield at its current share price. Refer to the PDF report attached for complete analysis on Jardine Cycle & Carriage. Increasing competition is a key risk for Astra International’s automotive segment. JCC is also affected by commodity prices (Crude Palm Oil (CPO) and coal) and interest rates hikes which affect Astra International’s financial services, heavy equipment, mining, construction and energy businesses. Jardine Cycle & Carriage (JCC) reports its earnings in USD while Astra International’s reporting and functional currency is in IDR. In the event of substantial depreciation of IDR against USD, JCC’s earnings will be affected. Further, as Jardine Cycle & Carriage's share price is listed in SGD, movements in USDSGD may also impact price performance.